Welcome to San Francisco River Outfitters. We take only a limited number of hunters each year to insure individual attention and trophy quality opportunity. 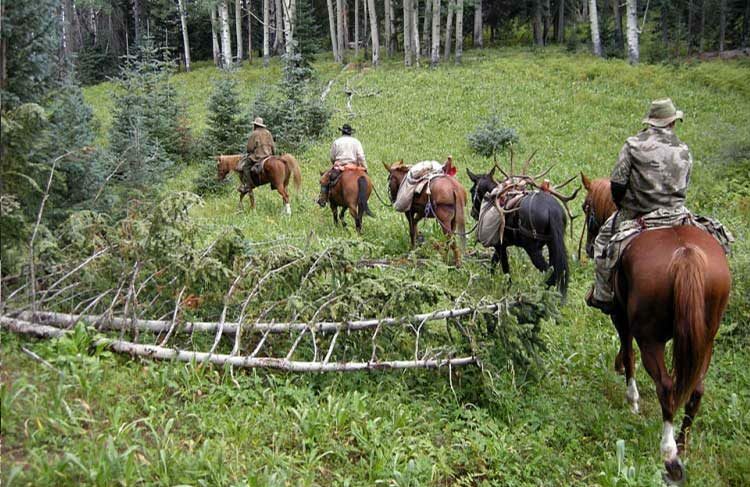 Our specialty in the industry is that we offer true pack-in wilderness hunts using well trained mountain horses and mules to get you back where the big bulls live! 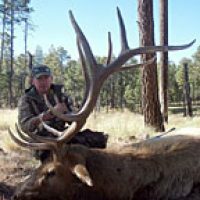 While we offer the best trophy bull elk wilderness hunts in America, we also offer hunting trips for Coues Deer, Bighorn Sheep, Antelope, Javelina, Merriam’s Turkey, Mule deer, Mountain Lion, bear, Ibex and Oryx in both New Mexico and Arizona. Tom Klumker, your outfitter guide. 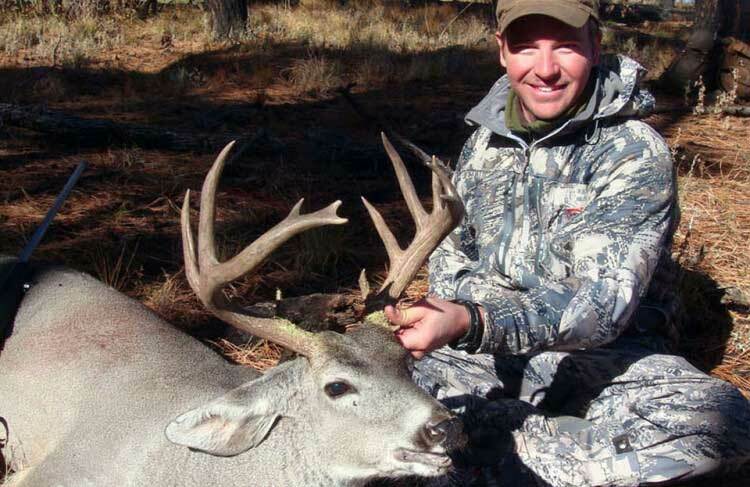 We use some of the top guides in the West, which enables us to consistently harvest trophy class animals. 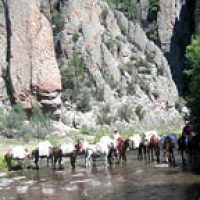 I have owned horses and mules and have been packing into wilderness areas all of my life. In recent years some outfitters whom have no livestock opt to put some of their clients in for the wilderness hunts and then try to farm out the packing and camps to unqualified operators or they try to hunt from the trail heads. We operate in The Gila National Forest, the Lincoln National Forest in New Mexico and the Coronado and Apache/Sitgreaves National Forests in Arizona. If you want a true traditional wilderness pack-in hunt where knowledge and experience count, give us a call. San Francisco River Outfitters has been selected to outfit and guide the hosts of “Relentless Pursuit “ which airs on Sportsman Channel and “Extreme Desire” airing on the Dish Network starting July of 2014. 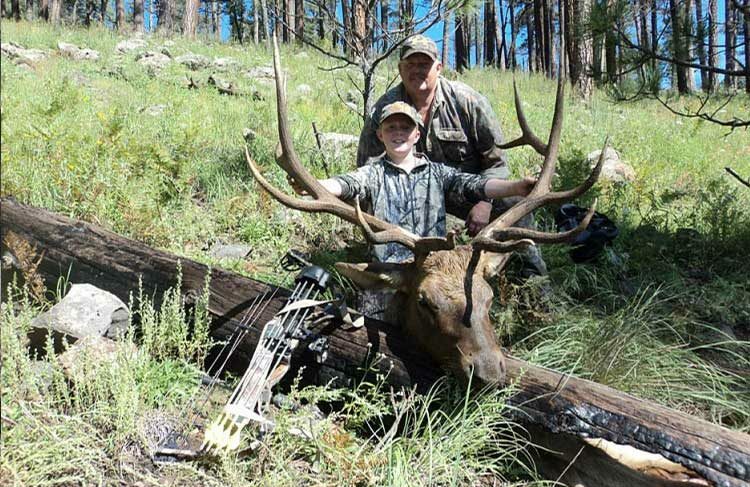 We have enjoyed guiding on multiple successful trophy bull elk, Couse deer and more hunts over the years. Outfitters. We take only a limited number of hunters each year to insure individual attention and trophy quality opportunity. 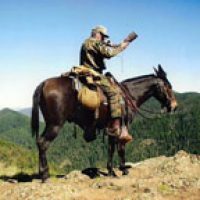 Our specialty or niche in the industry is that we offer true pack-in wilderness hunts using well trained mountain horses and mules and hunt from quality wall tent camps with cots and pads in sleep tents and a cook/dining tent with full time cook and using a full time wrangler and 1×1 guide service. We use knowledgeable guides with considerable experience hunting in the wilderness. We operate in the Gila National Forest (16B primarily plus units 23, 16E, 16D and 15), the Lincoln National Forest (Unit 34) in New Mexico and the Coronado (Unit 33) and Apache/Sitgreaves (Units 27 and 1) National Forests in Arizona. Our 2018 season turned out better than expected with the antler growth as good or better than average due to the high country we hunt in. We drew fairly good although not as many as 2017. On the archery hunts we had 4 hunters on both season with 3 out of four taking bulls on the first season and 1 out of 4 on the last season for a 50% kill rate and all hunters having opportunities, missed shots and one bull wounded that got away. Two of the bulls were 340+ bulls. One hunter missed two shots at a huge 400 class bull. On the rifle hunts we had 4 hunters the first week with all four taking bulls, 381 and 348 being the biggest. On the second season we had 5 hunters and 2 took bulls with everyone having opportunities with missed shots and some bulls turned down, looking for bigger ones. It was a wetter hunting season this year with about 5-6 inches of snow on the first rifle hunt. The elk numbers were good with a good number of bulls and most everybody getting into some action every day. 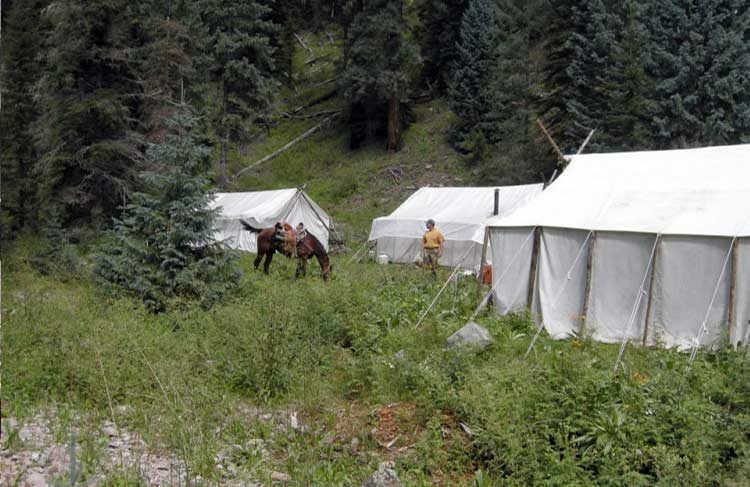 Our hunts are all true pack-in adventures into the rugged back country of the Gila Wilderness to a quality wall tent camp set up and use top notch guides, cooks and wranglers. Our camps are in 7-12 miles and get beyond most of the hunting pressure.